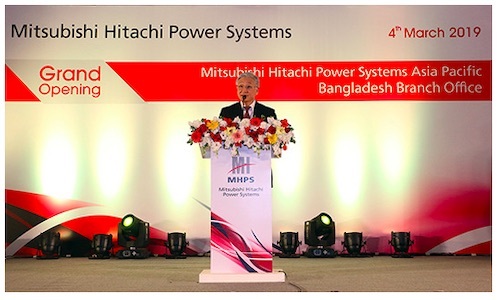 TOKYO, Mar, 05 2019 - (JCN Newswire) - Mitsubishi Hitachi Power Systems, Ltd. (MHPS) has opened a branch office in Dhaka, the capital city of Bangladesh. Establishment of the new base will enhance service capabilities for the country's thermal power generation systems and attract expanded orders as Bangladesh undergoes robust economic growth. The branch office will progressively strengthen its sales capabilities for the coming projects, especially those centered on thermal power facilities, planned by both the Bangladeshi government and the private sector. It will also steadily fortify its capacity to disseminate pertinent information to local customers. 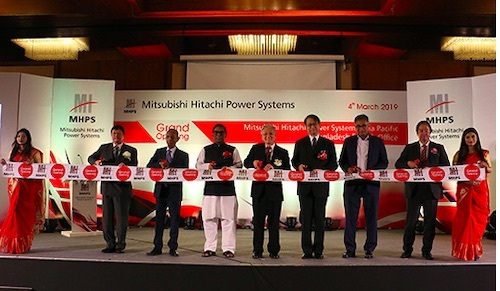 The new branch office, located in central Dhaka, was opened to function as a sales unit of Mitsubishi Hitachi Power Systems Asia Pacific Pte. Ltd. (MHPS-AP), a wholly owned MHPS subsidiary based in Singapore. To celebrate its opening, a ceremony was held on March 4th, and attended by numerous distinguished guests. These included: Bangladesh government officials headed by Nasrul Hamid, the Honorable State Minister of the Ministry of Power, Energy & Mineral Resources; and local Japanese representation by Ambassador Hiroyasu Izumi. Representatives in attendance on behalf of MHPS were led by MHPS-AP Chairman, Ken Kawai. Kawai offered the following remarks: "Bangladesh and MHPS have forged a good relationship spanning many years. Now, with the opening of this new branch office, by improving our servicing structure as well as our ability to respond to new projects, we will be able to contribute all the more to Bangladesh's development--a source of great joy for us. At MHPS, today we place top priority on attracting orders worldwide for our mainstay, gas turbines, and according to the latest market survey report(1) we rank first in global share regarding orders received for gas turbines with outputs above 100 MWe. Going forward, we will continue to provide energy solutions matching people's needs: solutions incorporating MHPS' thermal power generation technologies which boast the world's highest levels of efficiency and reliability." Today, Bangladesh is achieving a solid average annual economic growth of 6%, and with a population of approximately 160 million, and a young and abundant labor force, the nation is striving to join the ranks of middle-income countries by realizing sustainable economic growth through industrial development. With this aim, Bangladesh is pressed to improve its social infrastructure: transportation systems, power and other energy structures, etc. In response, the Bangladeshi government has issued plans to increase the nation's power generation capacity from the current 17,000 megawatts (MW) to roughly 24,000 MW by 2021, and to 40,000 MW by 2030. To fuel such expansion, the country has begun importing LNG (liquefied natural gas) , and both the government and private sector are undertaking increased numbers of large-scale thermal power plant construction projects. MHPS has steadily contributed to Bangladesh's development since delivering its first steam turbine in 1960. In 1987, the company provided the country's first gas turbine, for the Old Haripur gas turbine power plant. Since then, MHPS has accumulated the supply records for a total of nine gas turbines, five being the M701F, giving the company the highest market share in Bangladesh of that output range. MHPS also provides after-sales services, primarily based on Long Term Service Agreements (LTSA), thereby contributing to Bangladesh's economic development. 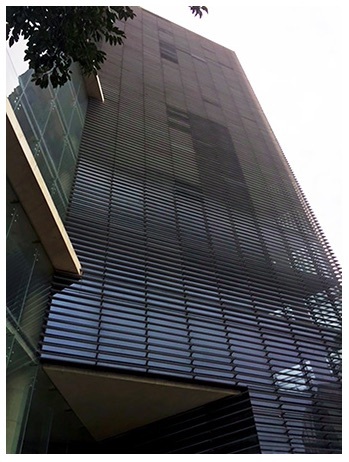 Through the newly established branch office in Dhaka, MHPS will be able to provide highly efficient, environmentally friendly thermal power generation systems that respond fully to Bangladesh's robust power demand, as its way of contributing to the indispensable stable supply of power to drive the country's future economic growth and industrial development. (1) Data based on the McCoy Power Report in 2018. McCoy Power Reports regularly provide detailed market survey data relating to the power generation industry.